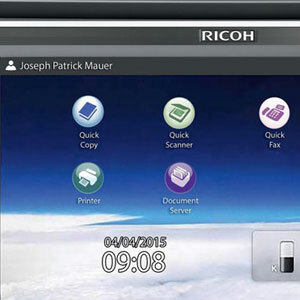 Maximize your office productivity with our technology solutions. Technology impacts how people work and with the right solutions your team will not only be more productive than ever, but will do so while “Loving the Way They Work”. From multifunction copiers, printers, scanners, and productivity software to integrated phone systems, our team can deliver office technology solutions that will help you efficiently run your day-to-day operations. As Atlantic Canada’s largest office technology dealer, we provide both the experience and the expertise to help you select equipment for your office that best meets your needs, whether it’s a small desktop unit, a fleet of multifunctioncopiers or a large production device. Our suite of productivity software solutions were selected specifically to help you identify opportunities to optimize your workflows, increase productivity and encourage collaboration within your organization. Whether your office has a single line or a hundred, switching to a Panasonic Telecommunication System could mean substantial savings and improved functionality. By unifying your communications, you will ensure that your team can communicate effeciently and effectively. Not all office technology is created equal and your business deserves more than a one size fits all solution. Our office technology experts are trained to help you identify the bottlenecks your organization may be facing and determine which tools best suite your specific needs. To schedule your free consultation with one of our office technology experts, contact us today!